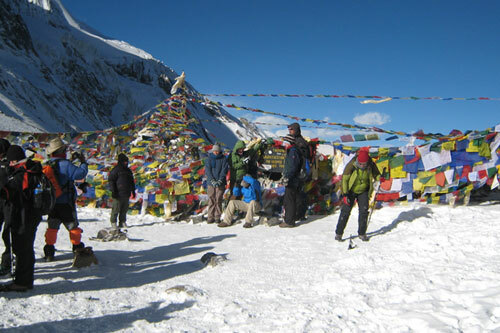 Tilicho Lake trekking is one of the very popular trips in Annapurna Region. 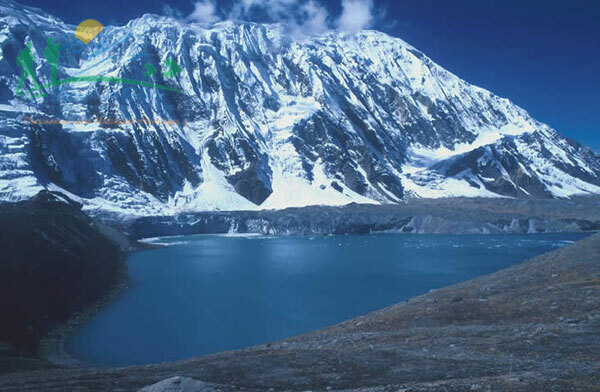 Tilicho Lake collects the glacial melt of the full northern slopes of Annapurna and Thorang Peak, which is claimed to be the highest lake in the world. In Hindu pilgrims from around the world gathered to the lake convinced it is a holy spot mentioned in the Ramayan - a holy book of the Hindus. 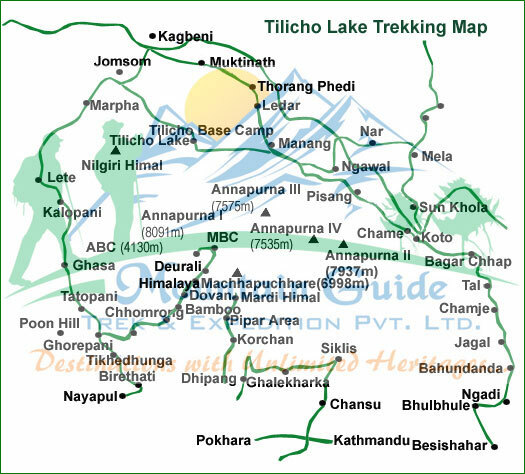 Tilicho Lake trekking starts from Besisahar, which goes along the Marshyangdi River, with great views of Manaslu and Himal Chuli to the east. 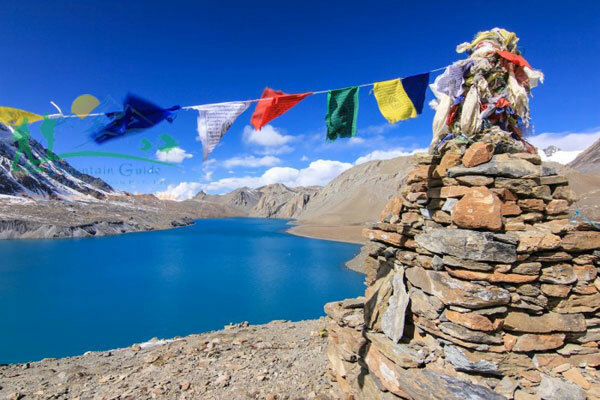 This magnificent Tilicho Lake trekking leads you to the fine village inhabited by a wide diversity of people from different ethnic groups, offering spectacular and magnificent views of the white Himalayas. We have modified this route as it is basically the same as Annapurna Circuit, from Manang instead of taking the valley north to Tanki Manang and Yak Kharka this route goes to the main valley to the west passes through the Khanshar Village (The Last Village of Nepal) and trek up to Tilicho lake, then we travel to Yak Kharka then up to pass of Thorang La at elevation of 5416 m. From the pass of Thorang La, the Tilicho Lake trekking lead down to Muktinath then to Jomsom from where twenty minutes scenic flights take you to the Pokhara. 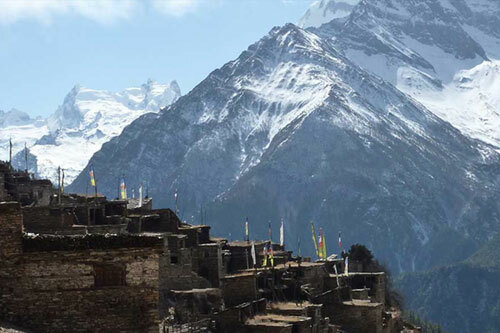 From Tilicho Lake you also have the option of crossing the challenging pass of Moesokanta La Pass to Jomsom instead of traveling to Thorang La Pass but good additional equipment with tented camp are require to go through Moesokanta La Pass. 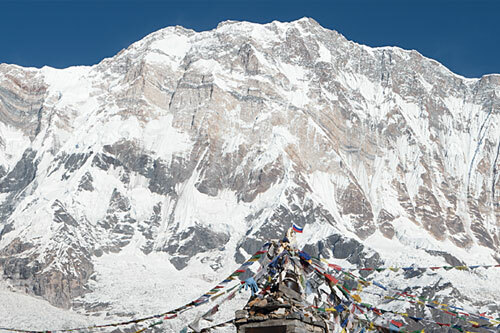 Day 15: Trek to Thorong Phedi (4450m) 5-6 hours. 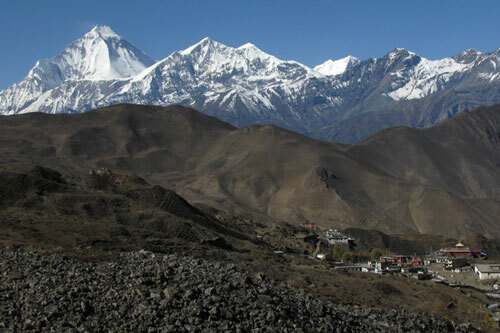 Day 18: Flight from Jomsom to Pokhara (8 20m) 20 min. 2 night's hotel accommodation at Pokhara in tourist standard hotel on BB basis. 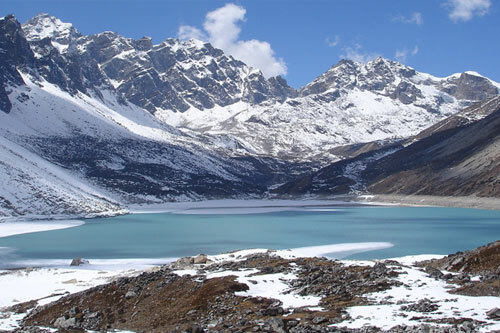 The following is a list of clothing and accessories that we recommend for Tilicho Lake Trekking Nepal. This is not intended to be a comprehensive clothing and equipment list; rather it is intended to act as a reminder of those items that we are feel necessary for your comfort and convenience. However we recognize that you may have your own personal preferences for clothing which may be equally as suitable.